The main group of wrathful deities that almost all the modern traditions agree on, are the 8 Dharma-palas or protectors of dharma. 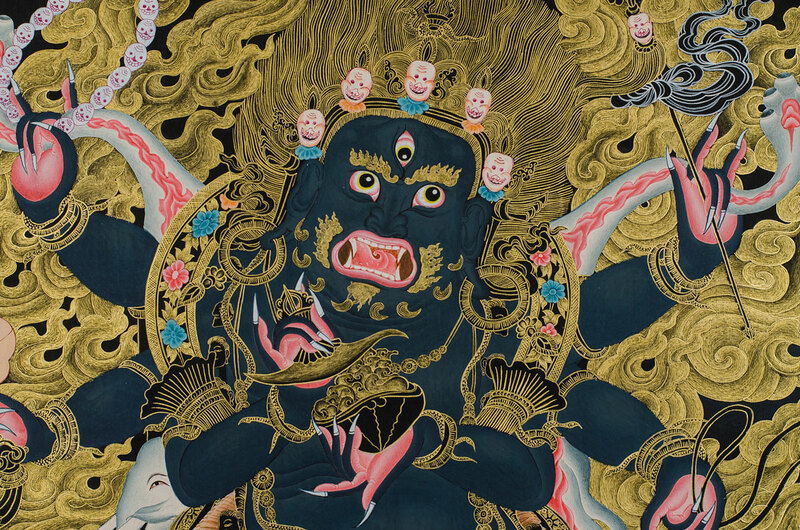 These include Mahakala in his various forms, Hayagriva, Yamantaka and Kubera (Jambala). The primary function of these Dharmapalas is initially to protect our minds from the negative and eventually guide us towards transforming that very negative into a positive. A practice that is extremely common in Tantra.Artists who paint in Nepal descend from a Tantric tradition and culture, helping us to create some stunning works of art that can be found nowhere else. Wrathful deities must not be confused with demons. Their often terrifying expressions and imposing figures create an easy illusion that these are indeed negative and terrible beings. The correct way of seeing these paintings is to consider them as bodyguards or protectors of the Buddhist Doctrine. Taking these terrifying aspects in order to protect from the negative energies and ultimately tame them. Painted by artists who specialize in these types of figures. 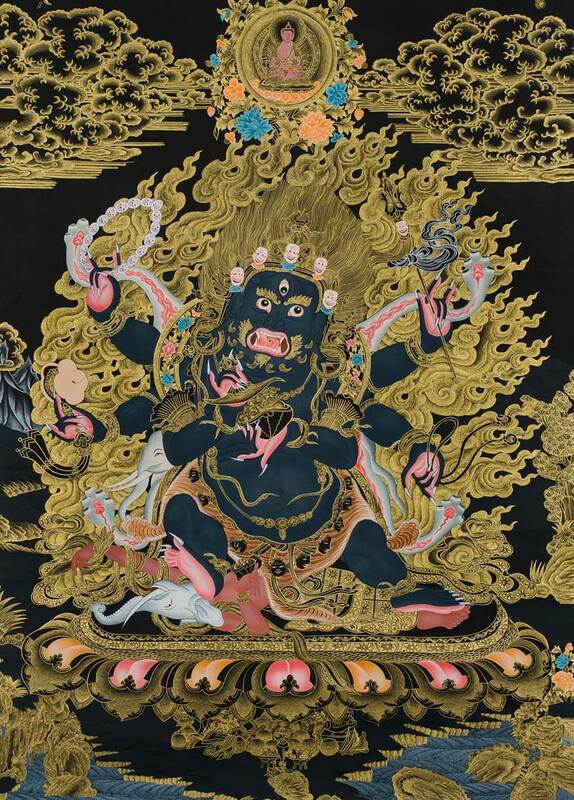 The specific styles of wrathful deities make them unique and powerful way to express the Buddhist philosophy.